Los Angeles, 28 March 2018 – The Cinema Audio Society is pleased to be participating together with the School of Visual Arts and Gotham Sound for a special presentation on wiring for sound on Saturday, April 14 from 12 noon to 4 PM at the Amphitheatre at SVA, 209 East 23rd Street. 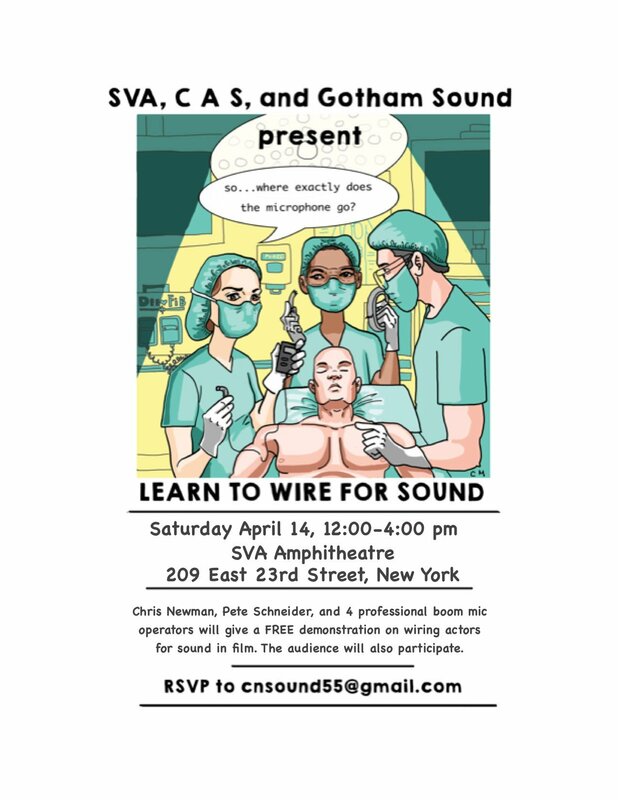 This wiring clinic is free and will be conducted by Christopher Newman CAS, and Peter Schneider, founder, and co-owner of Gotham Sound. Chris Newman and Peter Schneider, aided and abetted by professional sound people Jeannie Gilliland, Gregg Harris, Kira Smith, and Julian Townsend, will demonstrate how to hide wireless microphones and transmitters on actors for film. The demonstrations will be followed by hands-on breakout sessions. “We are thrilled to be a sponsor and partner on this event in New York City,” said CAS President Mark Ulano. 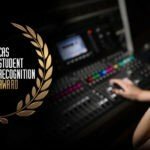 “Presenting this together with SVA and Gotham Sound to our members and the broader sound community is part of our mission of education and excellence in sound recording”. The School of Visual Arts is a leader in the education of artists, designers and creative professionals. With a faculty of distinguished working professionals, dynamic curriculum and an emphasis on critical thinking, SVA is a catalyst for innovation and social responsibility. SVA also represents one of the most influential artistic communities in the world. In a career spanning over 40 years and 85 feature films, Production Sound Mixer Christopher Newman has been nominated eight times for Oscars and has garnered three wins for: The English Patient, Amadeus and The Exorcist. In 2013, he received the highest honor of the Cinema Audio Society, the CAS Career Achievement Award. Having taught sound and filmmaking in Europe, Brazil, Mexico, and at USC, NYU, and Columbia University, Chris currently teaches both sound and production at The School of Visual Arts in New York. Peter Schneider is a founder and co-owner of Gotham Sound and Communications, Inc., which provides audio and communications equipment for broadcast, major motion picture, and independent media producers throughout the United States. He is also an adjunct professor in the graduate department at New York University’s Tisch School of the Arts and a decorated IATSE Local 52 production sound mixer, earning a Motion Picture Sound Editors Golden Reel for his work on Third Watch and a Cinema Audio Society Award for his work on The Sopranos.